Miele’s motto is “Forever Better”. 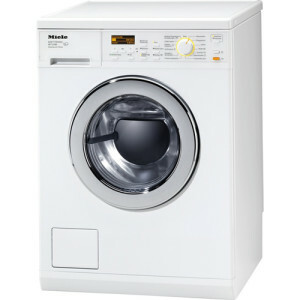 In order to make things clear from the very beginning, Miele appliances aren’t cheap. However, they definitely make up for the price in terms of lasting and high-quality service. 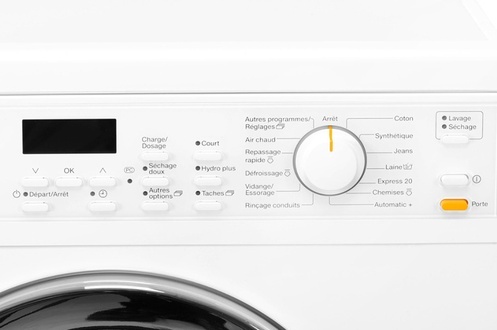 The features offered by this brand cannot be found on cheap combos, and what’s more important, the reported functional life of the appliances from Miele exceeds 20 years. 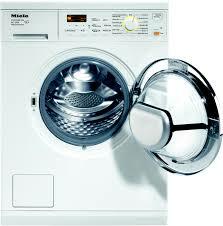 Miele WT2780 combines top-quality and convenient service with efficiency. 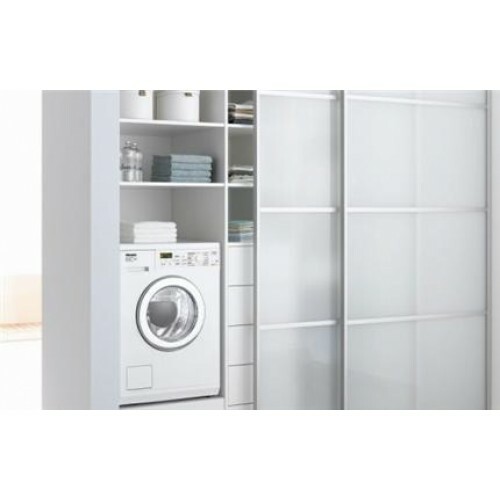 The washing and drying capabilities of this unit will leave your clothes feeling and looking great. Let’s check out the details of this model. Weight: 101kg / 222 lbs. Steam Care Function – it reduces the need to iron your clothes by 50%. It produces steam to suit all kinds of fabrics. Delay Start Option – 24h delay start function that allows you to do everything as planned. Time Left Display – where you can see how long the washing/drying cycle will take to finish. Gentle Smoothing Option – reduces the drum rotation which is great for delicate items and garments that don’t tolerate much mechanical actions. Stain Removal – intuitive operation that removes stains. You can choose 6 common stains. Water Control System – detects leaks, increasing this unit’s security. Waterproof System – top-notch protection against water damage. Honeycomb Drum – provides total care of the garments. The design of the drum creates a thin film of air or water that cushions the clothes away from the drum. Express Wash 20 – 20 mins. quick wash.
Wash Programs: Cottons, Minimum Iron, Automatic Plus, Shirts, Denim, Express 20, Woollens. Dry Programs: Extra Dry, Normal, Hand Iron, Machine Iron, Smoothing, Timed Drying, Freshen Up. 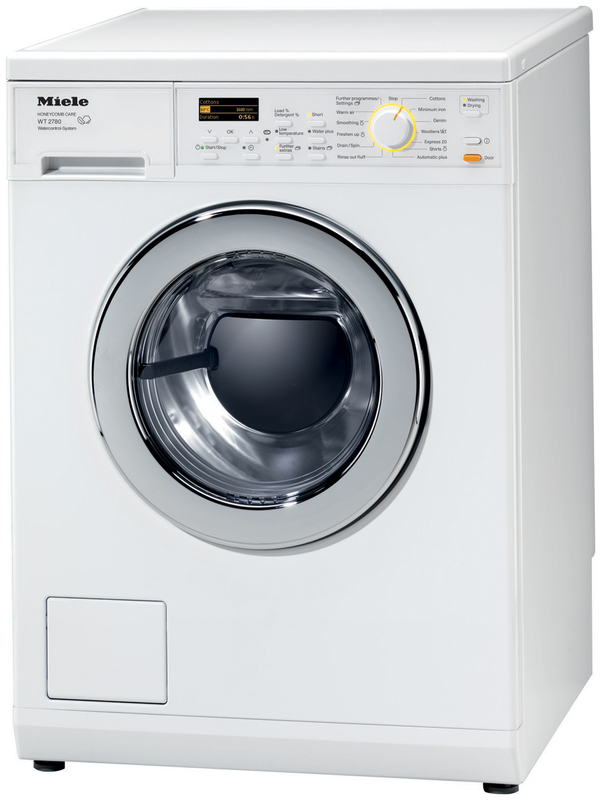 Options: Low Temperature, Thermospin, Extra Quiet, Short, Water Plus, Stains, Extra Rinse, Pre-Wash, Soak, Rinse Hold. Tray Dispenser: Pre-wash, Main Wash, Softener. Materials: Front – direct enamel finish, Side – powder coated finish, honeycomb drum type. An energy efficient unit in order to reduce bills. Comes with waterproof system that protects against flooding. Express wash option great for quick, but effective washing. Comes with honeycomb drum that protects your laundry. Conclusion: All in all, this unit comes with a long-lasting piece of mind. The features are great, but the price is not so great. So, if you’re on a budget, you should look elsewhere. In our top 10, we have units which are cheaper than this one, so maybe you should check for combos there.